Nirav Modi, the billionaire jeweller to the world’s glitterati, reported to have defrauded the Punjab National Bank (PNB) to the tune of Rs. 11,000 cr—the biggest fraud in the banking history. It is reported that acting on a complaint by PNB to the effect that Modi and his partners in connivance with bank officials of Mid Corporate branch in Mumbai’s Brady House defrauded the bank by obtaining ‘Letters of Undertaking (LoUs)’ for making payments to overseas suppliers, CBI booked cases against Nirav Modi, his wife Ami, his brother Nishal and his uncle Mehul Choksi on January 31st for allegedly cheating the bank to the tune of Rs. 280 cr. Surprisingly, the bank has again approached the CBI within a fortnight of the first complaint reporting more fraudulent transactions involving a whopping amount of Rs. 11,000 cr. And the latest reports indicate that the total hit to the bank may well exceed this amount. Frauds are not that uncommon in the banking industry worldwide but what is more surprising is: How the fraud remained unnoticed since 2011, that too, when the liabilities under the LoUs were honoured (presumably) by the bank by remitting funds to the overseas banker? To better appreciate this point, let us first take a look at what LoU is and how it causes a liability to a banker. Simply put, LoU states that in the event of the failure of the therein mentioned entity to honour the payment of the stated amount, the bank (issuer of the LoU) shall pay it once the beneficiary lodges a claim duly proving the completion of the stated transaction. LoUs are usually issued for a period of 90 days. In the banking circles, LoU or Letter of Comfort (LoC) is a common mode of offering a facility to its borrowers to import goods from an overseas exporter/ to avail buyer’s credit from the overseas banks to import goods, for it is a mere contingent liability (off-balance sheet entry?). But there is always an embedded risk of the liability materializing under LoU/LoC, compelling the issuing bank to pay the stated amount with no questions raised. Hence, they are issued to borrowers of repute and, of course, against securities that fully cover the amount guaranteed by the LoU. Additionally, banks prefer assets of liquid nature for securing the liability, should it arise. Against this understanding, let us analyze the news related to the fraud. Reports indicate that a middle level manager has unauthorisedly transmitted the news of their bank issuing LoU favouring the company headed by Modi through SWIFT without that contingent liability reflecting in the bank’s books (bypassing the core banking system) since 2011. So far so good, if only, the liability under each of the LoU fraudulently advised by the branch is honoured by Modi well in time. In other words, no liability ever devolved on bank and hence, we can safely accept the news as stated that everything went off silently for all these years. But the bank lodged a complaint stating that it has been cheated by Modi to an extent of Rs. 11,500 cr. 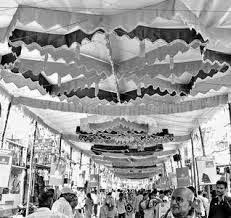 Which means, the liability under the LoUs fraudulently issued by the branch did indeed devolve on PNB and over the period it kept on paying the liabilities to the claimants (i.e., banks who financed the said imports of Modi against the security of LoU of PNB ) as and when they arose and remained overdue in PNB’s books as Modi has not honoured his liabilities. If this argument is true, then the accrued liabilities will automatically reflect in the core banking system and once such outstanding balances make their presence in the branch books, they cannot simply go unnoticed by higher-ups/auditors, that too when they are backed by no appropriate sanctions and importantly, securities. And, remember for that long! Perhaps, there could be another argument: branch, having been encouraged by the fact of no LoU devolving on them, for Modi paid the dues under the LoU to the overseas bankers without causing any trouble to the bank officers who flouted the rules in his favour, must be issuing such LoUs since 2011 and it is only those which are issued in the recent past must have devolved resulting in such massive dues. And hence the fraud came to light now! Even then, it is hard to believe that such repeat remittances in dollars from the Nostro account in the name of a few companies go unnoticed by all the concerned, that too for seven long years. Therefore, the only plausible explanation for the episode is: so long the going was good, everything went off silently, but once the winds turned against and the sailing became rough, everybody started crying hoarse from rooftop—“Oh! All that glitters is not diamond, it’s systems failure, failure of risk management practices, regulatory failure, failure of auditors and so on…. 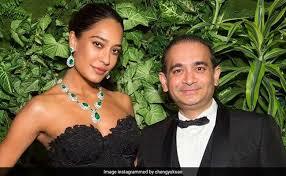 Coming to Nirav Modi, it is a pity that the man who built a brand name of global repute around himself, took seven long years to realise that he cannot fool the world for ever! Nevertheless, all those who have contributed their might in making this fraud successful for six years, have once again taught businesses a lesson: frauds cannot scale up businesses and brand equity, but where are the listeners! Turning to banks, we have to confess that leadership across organizations is repeatedly failing the nation in handling the public money with prudence and the owner is not steadfast in calling for accountability from the hierarchy and punishing the culprits in such a way that it deters others from treading the criminal path. Ironically, as against this dire need for no-nonsense action against the culprits, RBI, the regulator, has this to say over the fraud: it is “a case of operational risk arising on account of delinquent behavior by one or more employees of the bank and failure of internal controls....” Guess, if such a laid-back approach to regulation will ever make managements behave?